Uruguayan striker keen to win silverware. The agent of Napoli striker Edinson Cavani has revealed that the Uruguayan striker is unsure about his future at the club according to Goal.com. Claudio Anelluci says that Cavani could be tempted to leave the Serie A side should they fail to persuade him that he has a chance of winning silverware with Napoli. Cavani is currently one of the most sought after strikers on the planet after a number of impressive seasons with Napoli. The player is currently the top scorer in Serie A and his goals have fired Napoli into second place. Those performances have not gone unnoticed with a host of top European sides thought to be monitoring the player’s availability. The likes of PSG, Manchester City and Real Madrid are all thought to be weighing up summer bids for the player. Napoli know they may be powerless to hang on to the player after the club’s president revealed that Cavani has a buyout clause thought to be in the region of £60 million in his contract. Anelluci has expressed his belief that Cavani will seek reassurances from Napoli regarding their vision for the club in the coming seasons before making a decision. 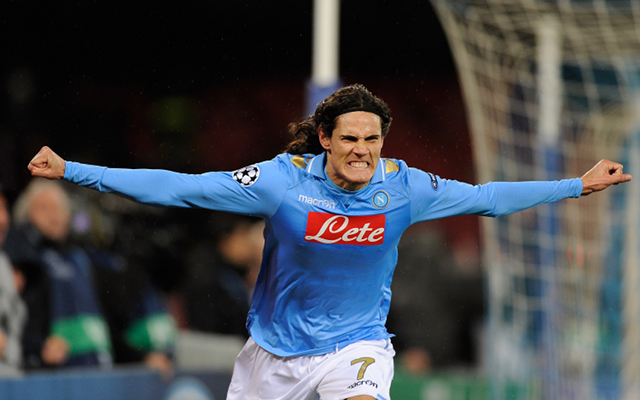 “Edinson has never expressed a desire to get away from Napoli. Cavani, however, is an ambitious type,” said Anelluci.